Aside from our collection of artifacts our museum has an interesting archival collection of documents, records and other materials dating back to the 1860s. These were created by the Regiment, by regimental affiliates or donated by individuals or their families. The museum itself has also collected a variety of material. We hope to create a catalogue of our archives to make them more accessible to researchers. Our lack of full time staff to respond to requests for information has led us to consider the benefits of digitizing certain records and making them available online. To this end, we contacted Anne Dondertman of the Thomas Fisher Rare Books Library, University of Toronto, who is graciously allowing us use of the library’s digital book scanner designed for use with bound volumes. 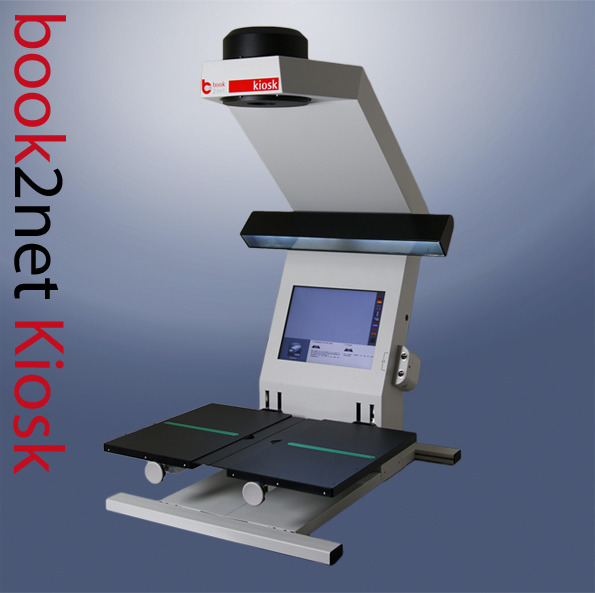 This is a book2net Kiosk for those enquiring minds. After scanning, we import the individual jpeg images from a book into a single Adobe Acrobat pdf document. We then add books marks, run optical character recognition to create a searchable document (if possible), add metadata and reduce the size of the pdf for uploading to our website. I can now scan about 400 pages per hour if I resist the urge to read while I’m scanning. As we only have access to the library a couple of hours each week, it may take us some time to process our materials. In the meantime we’re prioritizing so that we`ll be scanning the most useful/interesting first – a rather subjective process! We’ll continue digitizing and uploading as documents are completed. We hope you’ll find this material both interesting and helpful!